In four articles written during the 1940s, Im Hwa, the most influential Korean literary critic during the colonial period, presented a discourse on Chosŏn film as an effort to interfere in the “transitional time,” a period in which film control was fortified while the war progressed. Im Hwa’s declaration of the concept, “(Chosŏn) film as art,” was a strategic one utilized to criticize and prevent Chosŏn cinema’s colonization, commodification and propagandization. The meaning of the concept was, first, ‘art as universality’ by which Chosŏn cinema could acquire a proper and equal membership when being posited in the context of empire. The second meaning of it was Im Hwa’s “special attitude for art” that was used to investigate Chosŏn cinema’s own “idiosyncracy” from its birth to check the heightened expectation among Korean filmmakers that the Government-General in Korea would provide them with material foundations such as capital and film facilities. The third meaning of the notion was artistic norm as “character,” underlining the question of the individual that cannot be subsumed to the group and stressing the quality of documentary and the structure of classical drama as the indigenous values of cinema while Fascist aesthetics rose as a standard of ‘People’s film [Kungmin yŏnghwa; kokumin eiga 國民映畵] .’ These tactics of Im Hwa were to ultimately address Chosŏn filmmakers while bearing the empire and colonial government’s attention in mind, under the intensified film control in the Greater East Asian Co-Prosperity Sphere era. Border Crossings in East Asian Cinema brings to campus films that cross generic and geographic borders in East Asia. This year’s theme, “Koreans on the Move,” calls attention to recent works about the experiences of migrants and refugees from and to North Korea. Dooman River, a feature film by ZHANG Lu, and Sona, the Other Myself (Goodbye, Pyongyang), a documentary by YANG Yong-hi, explore questions of ethnic identification and solidarity, probing into the tragic ways in which national boundaries affect people’s lives and reminding us of the vital yet fragile efforts of those who seek to maintain human connections across national borders. Screenings will be followed by conversations with the directors and a roundtable discussion with University of Chicago faculty and graduate students. Co-sponsored by CEAS Committee on Korean Studies, CEAS Committee on Chinese Studies, CEAS Committee on Japanese Studies, and Confucius Institute at the University of Chicago. 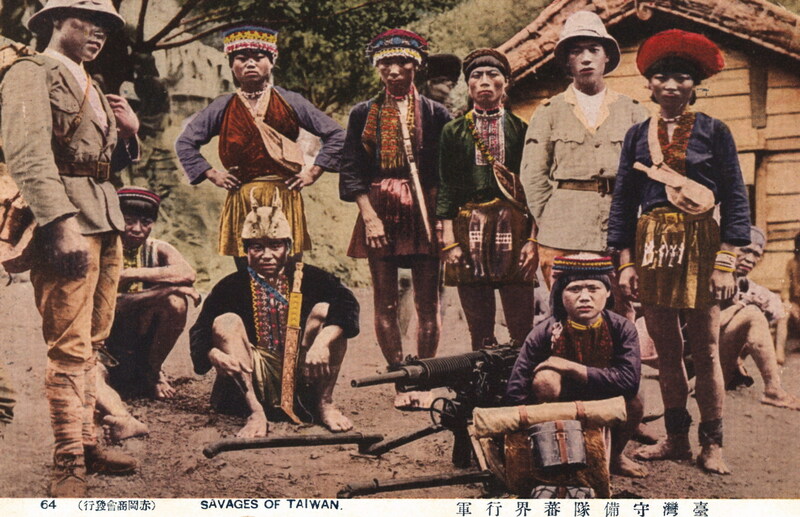 While Western scholars introduced the science of anthropology to Japan in the 1870s, Japanese scholars soon “nationalized” this science and brought it to bear on the aboriginal population of Taiwan, the first overseas field in which they could work. As a genre of writing about primitive societies, anthropology offered a model that other writers used to explore the cultures of exotic societies. In this paper, I study the relationship of anthropology and literature through a case study of the interaction between the writer Satō Haruo, who traveled to Taiwan in 1920, and the anthropologist Mori Ushinosuke. In 1923, Satō wrote Machō (Demon Bird), a short work based on a passage from an ethnographic study by Mori. The narrator of “Demon Bird” impersonates an anthropologist who is studying an episode of persecution in an unnamed barbarian village and attempting to explain their customs to his civilized audience. At the same time, the story he tells is an allegory about Japanese persecution of Koreans during the Great Kanto Earthquake. “Demon Bird” uncovers unexpected links between colony and metropolis and is, at one and the same time, both a deconstruction of colonial anthropology and an ethnographic critique of the Japanese empire. The years between the failed coup attempt in 1936 and the official surrender of Imperial Japan is often remembered as an era in which intellectual discourse was stifled in the midst of state surveillance and censorship. Though the range of possible intellectual expression had indeed been narrowed, this did not mean that it had ceased altogether. 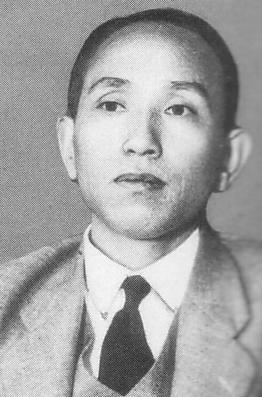 This chapter explores attempts by intellectuals to produce a new theoretical paradigm for thinking the ideal form of leadership and Empire through an analysis of the writings of nationalist polemicist Minoda Muneki, the focus of my dissertation, and his criticism of one the most prolific theorists of the Imperial project, Miki Kiyoshi. With the freedom of expression curbed and the rise in the influence of technocratic designers of society and Empire, intellectuals trained in the humanities perceived with dismay a waning in their influence as the leaders of pubic opinion. In this context, the idea of “synthesis” was tagged as a mental capacity unique to the intellectual culture that would give unity and principle to the perceived fragmentary specialization of technocracy. Yet, at the same time, they struggled to discover a way in which their theoretical innovations could be made to produce the desired effects in society. Despite these struggles, intellectuals as diverse as Minoda and Miki continued to harbor the belief that the discovery of a new intellectual paradigm was a necessary component of social progress, a faith that I argue characterized the intellectual culture of the period.